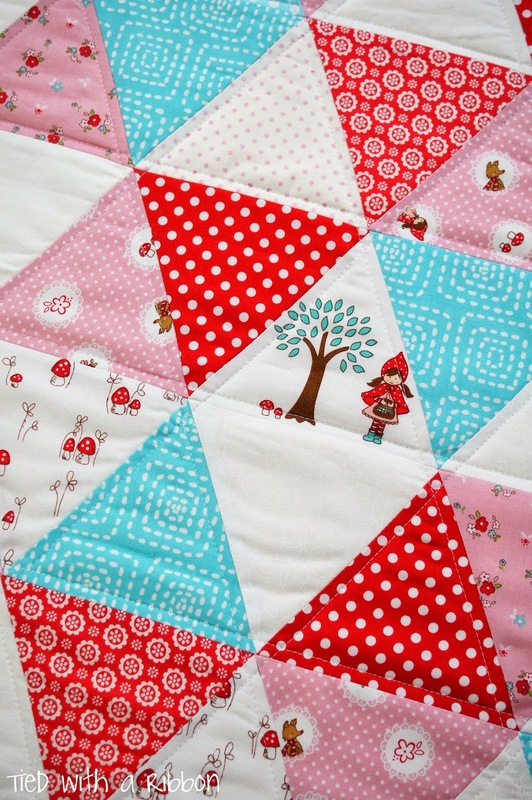 Sometimes I love to make quilts - just because! 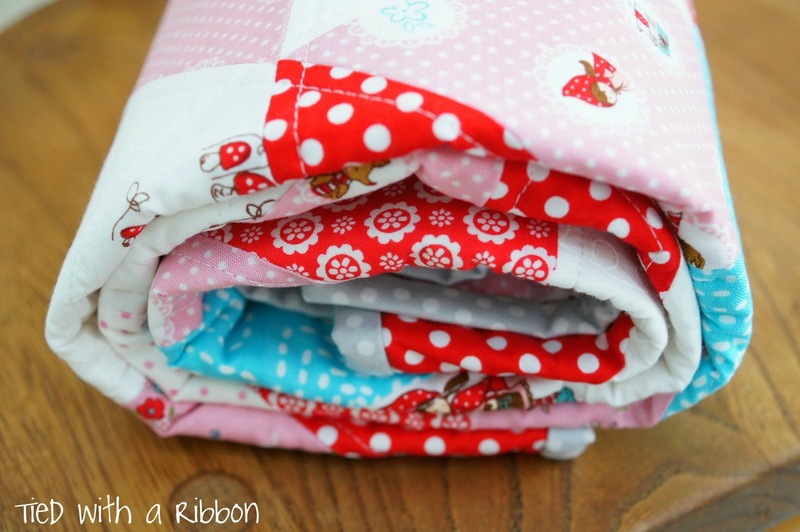 I had in my stash a bundle of the beautiful "Little red Riding Hood" fabrics by Tasha Noel for Riley Blake Designs. 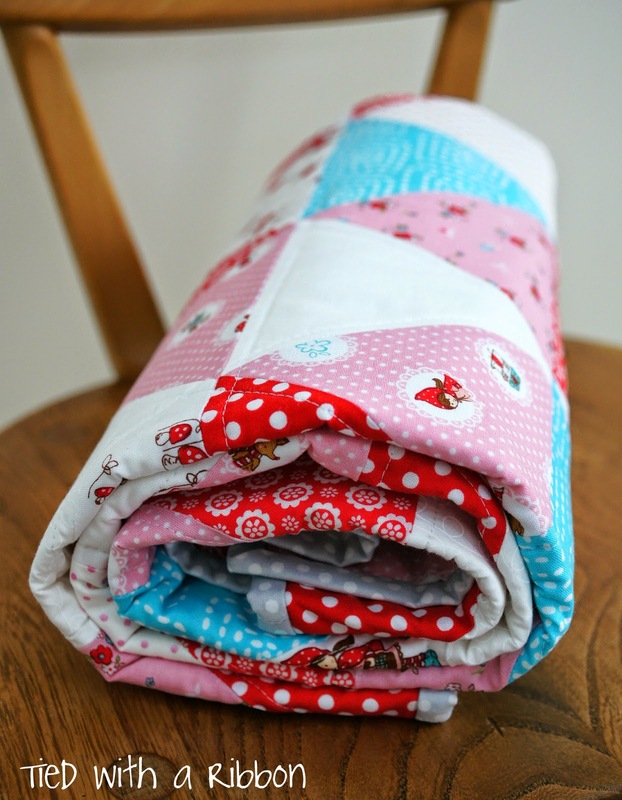 I have actually been working on a whole new quilt pattern using these fabrics that will be released soon (but more on that another day). 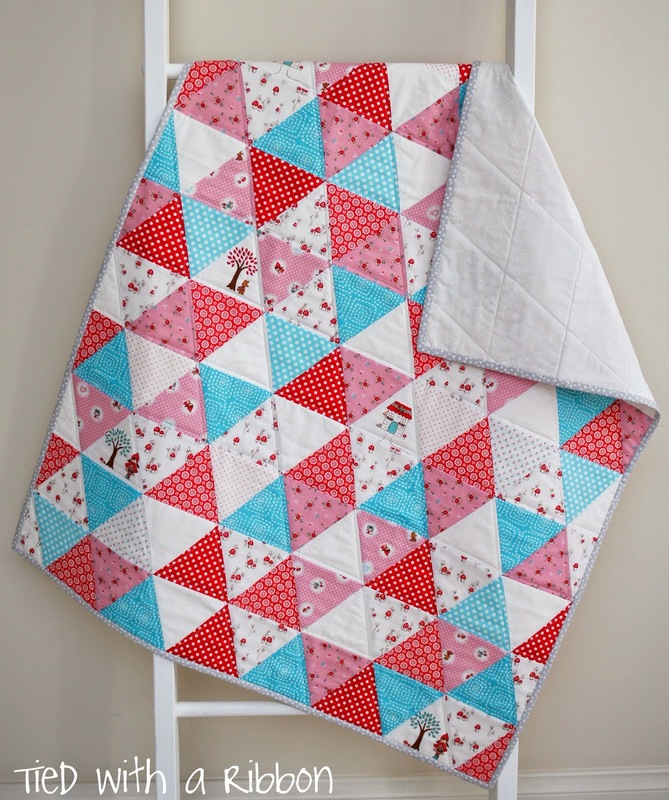 And with a new quilt ladder to hang quilts and to use as a prop for photos. 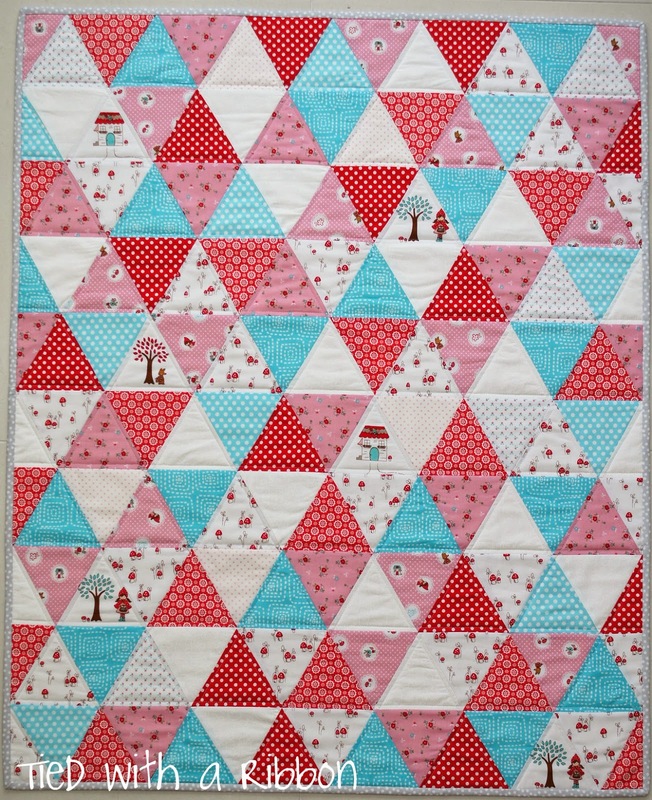 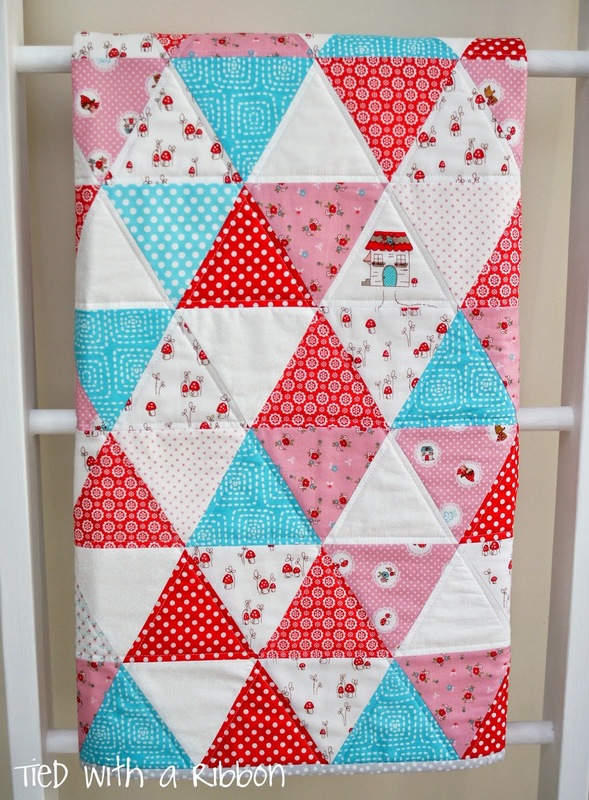 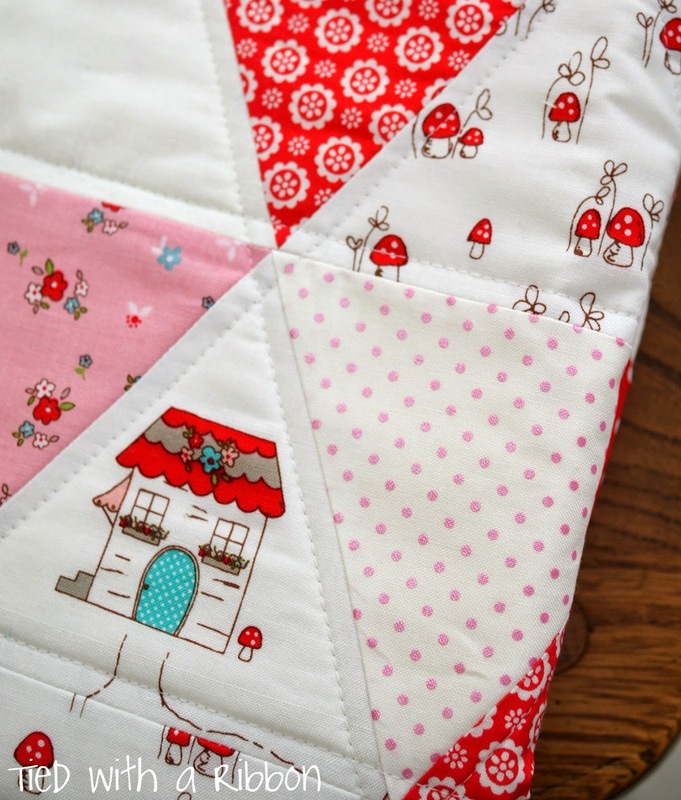 Fussy cut triangles that feature Little Red Riding Hood, The Wolf and Grandmothers house have been incorporated to compliment the triangular design and for interest.